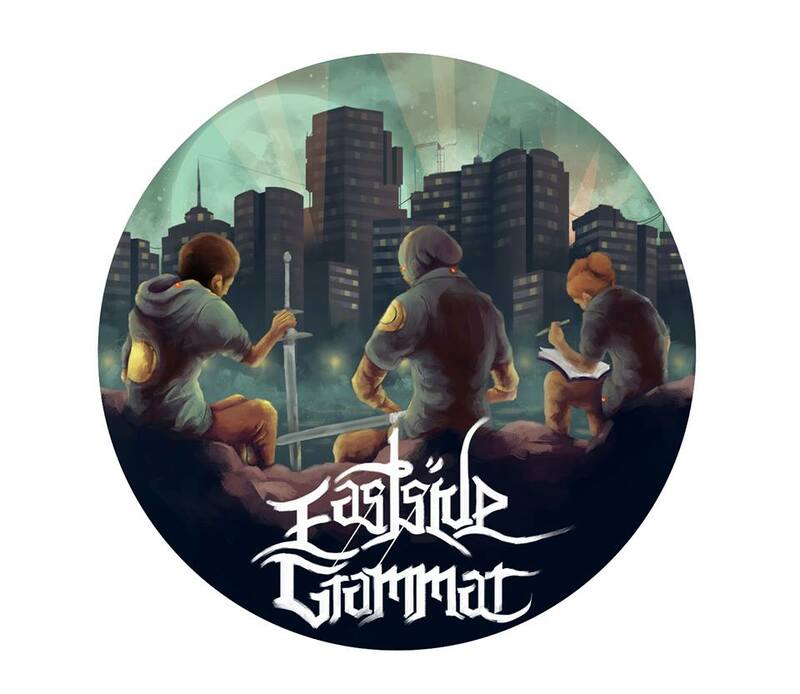 Eastside Grammar is a project made up of members based around the east coast of Australia deriving from different bands and various recording projects. Each member brings a fresh new approach to Hip-hop and Alternative music, combining a sound that is both original and eclectic. Michael Crellin, whose solo music goes under the pseudonym ‘Platinum Pen’, now based in Newcastle, founded the Project. As a solo artist, he has toured up and down the east coast of Australia over the last few years. He has shared stages with some of Australia’s biggest artists. He has also exerted his skills on some of Australia’s biggest stages, including at Splendour in the Grass 2012. He is the chief lyricist, vocalist and keyboardist for the project. Joining him is Charlie Raby, who plays guitar, bass and vocals for Newcastle alternative band ‘Polar Chills’. He lends his skills on electric guitar and shares vocals with subtle blues influences in the same vain as The Black Keys and The Roots. Accompanying these members on bass and production is Nick Rodwell, who is the bass player for Brisbane garage rock regulars ‘Race of the Harridan’. He contributes production expertise from his time under producer name ‘NJR’. He has worked production on many remixes with numerous artists, including Platinum Pen. Last but not least is David Pearce,who locks into the groove on Drums. David is based in Sydney and plays drums with various artists; his resume includes the likes of Sydney’s ‘Fieldings’. Down Here is the debut track for the group. Down Here highlights the unique sound and instrumentation the group possess. The texture includes a cracking feature from Violist Hendrik De Vries. Conceptually and lyrically it is a rare approach to a somewhat cliche theme. Check out the debut track and clip above. Eastside Grammar were introduced to the world surprisingly during a Platinum Pen show in January, there were over 100 people in attendance who shared the special and unannounced occasion. Over the first half of 2015 they have began writing and pre-production for an EP and a mix tape both due for release over the next 12 months.